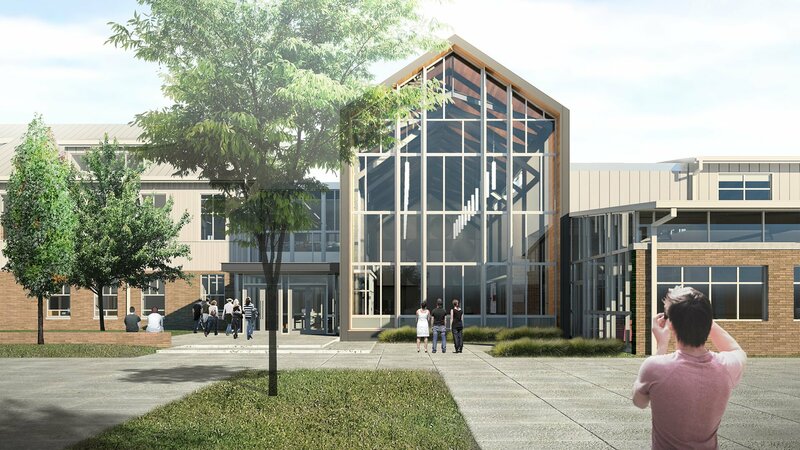 The replacement of North Dorchester High School offers a tremendous opportunity for Dorchester County to advance learning and teaching to a new level. 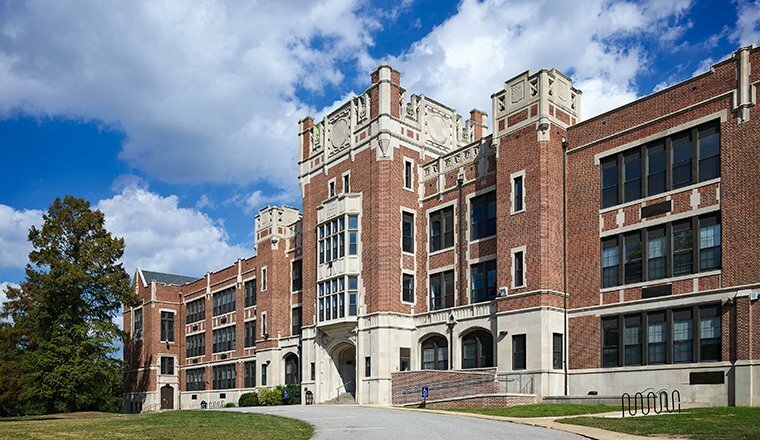 Following a feasibility study that recommended the replacement of the school, HCM partnered with the County to develop the Educational Specifications for the new facility. 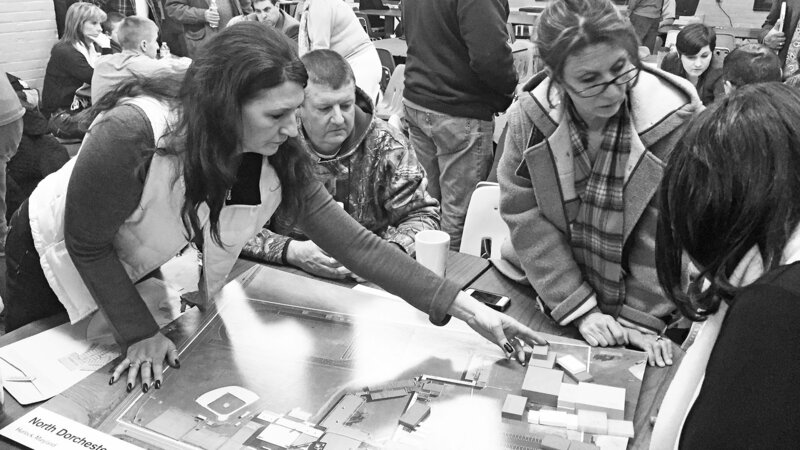 The community and County leadership helped define planning principles and other key drivers, which helped to influence the design of the new 117,150 sf school. The new predominantly two-story school is located on the northeast corner of the site. By doing this, the full site – high school and adjacent middle school – will function as one large community asset. 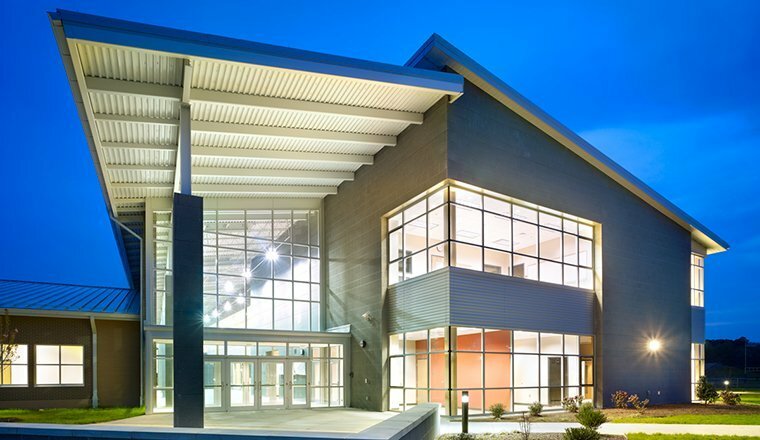 The two school buildings bracket a new and improved community athletic and recreation complex, complete with new or improved fields and track facility. This also allows the project to be built without the loss of any major site functions during construction. 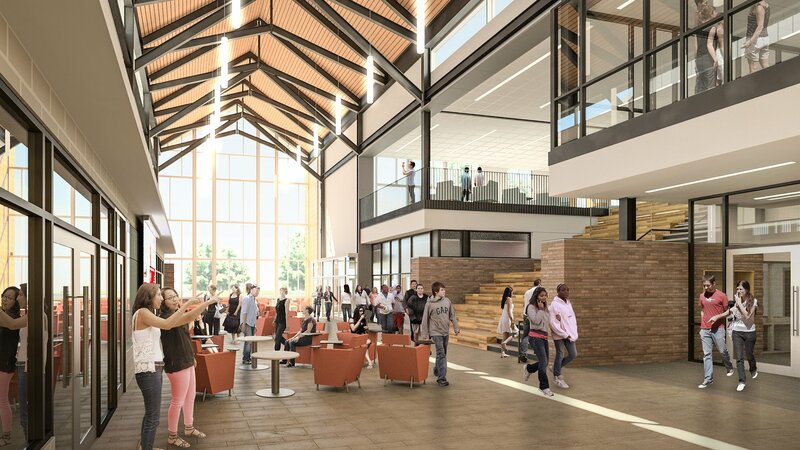 The southern portion contains the dining commons/food service, athletics, and auditorium, all organized around a central gathering space that will serve as pre-function space for these large public use spaces. During the day it will also provide general circulation, large-group meeting space, and additional student dining space. 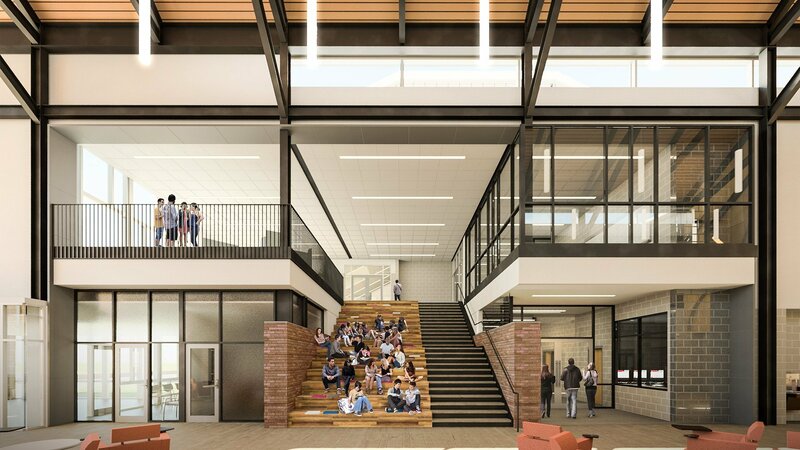 It will also provide formal and informal learning spaces, highlighted by a learning stair. The northern two-story wing contains academic classrooms organized in an “academy” layout with similar subject areas grouped together. 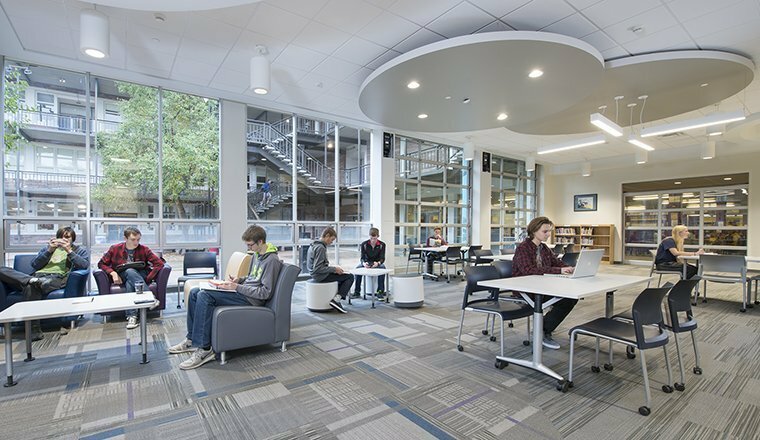 English, History/Social Studies and Foreign Languages are grouped together to form a Humanities Academy on the first floor. Science, Technology, Engineering, Arts and Math disciplines are grouped together on the second floor to form a STEAM Academy. 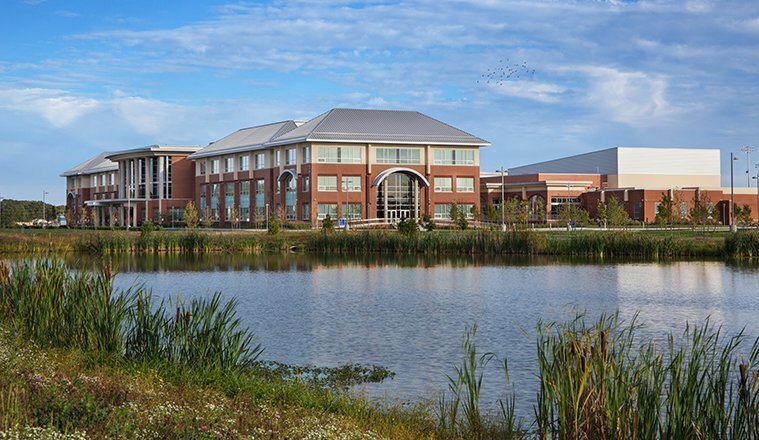 The two wings are connected by a two-story section of the building that contains administration, health clinic, nurse’s suite, and guidance on the ground floor and learning commons, technology education, and art on the second floor.